(Newser) – From California to Washington state, thousands of dead birds have been turning up on the shoreline, and scientists don't know what to make of it. 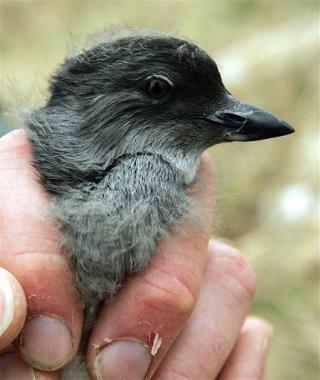 It's not all kinds of birds that are dying: just a species of small birds known as Cassin's auklets, the Los Angeles Times reports. Most of them have starved, ruling out the possibility of an oil spill or tainted food, a biologist says. And "if the bottom had fallen out of the ecosystem"—for instance, if something had broadly affected the food chain—"you would be seeing everybody dying, but we are not," another expert notes. The raven, nevermore. Every disaster movie starts this way. Then tar boils up in the middle of Los Angeles and it splits open and we birth a new moon. It could be radiation from Japan. My bad. That does not fit the agenda. Sorry. The fish are dying also and have been for over a year. Soon the Pacific Ocean will be dead, unless they can figure a way to stop Fujishima from spewing more contaminated water into it. All of the west coast is now contaminated.